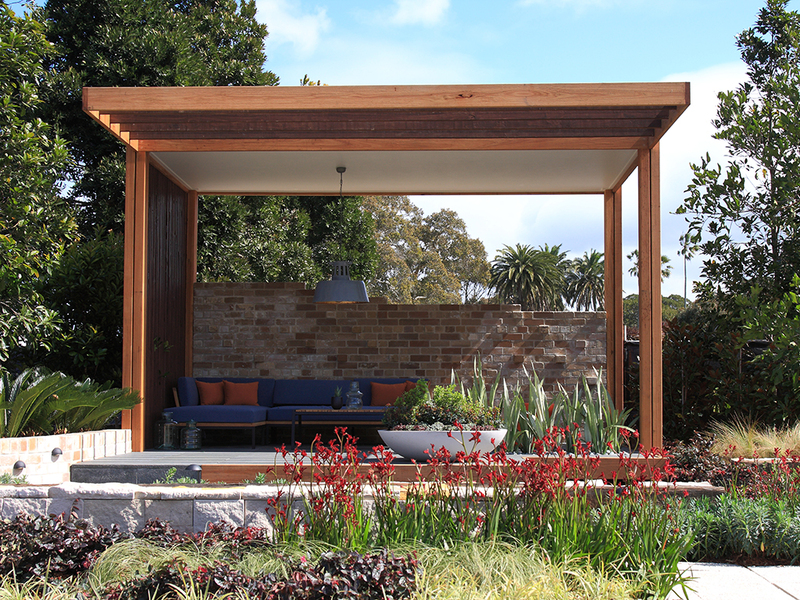 The garden of refuge was designed to provide a living environment that accommodates entertaining, relaxation and reflection. 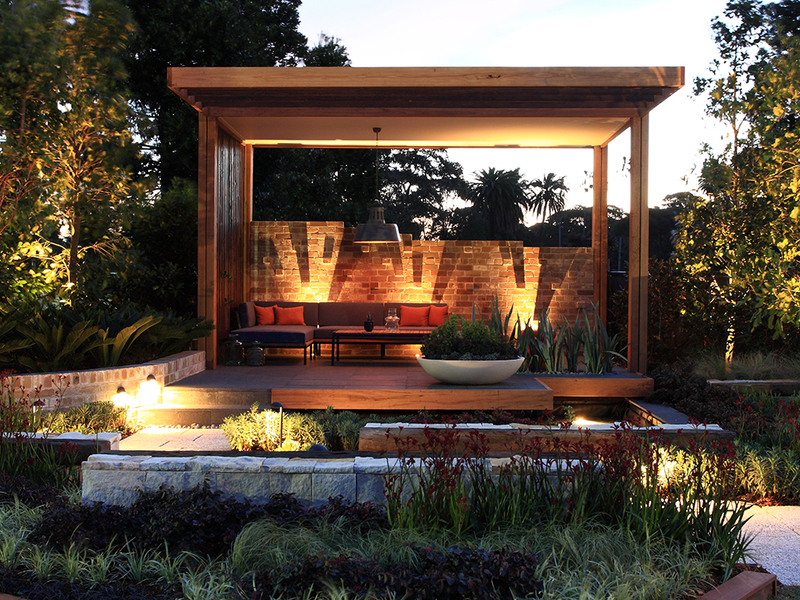 The central pavilion is oriented to allow passive solar design principles to be utilised. 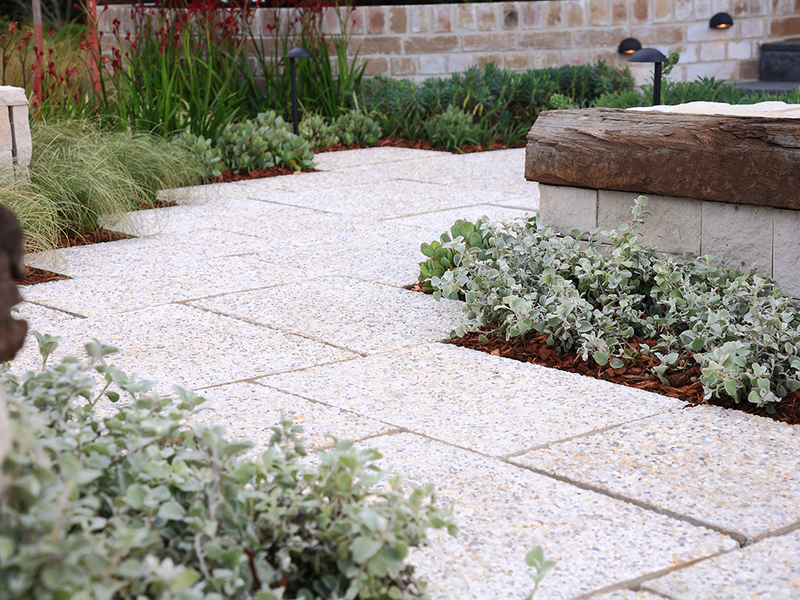 Key aspects of the landscape include custom made exposed aggregate pavers, recycled brick walls, locally sourced sandstone, timber sourced from FSC certified suppliers. 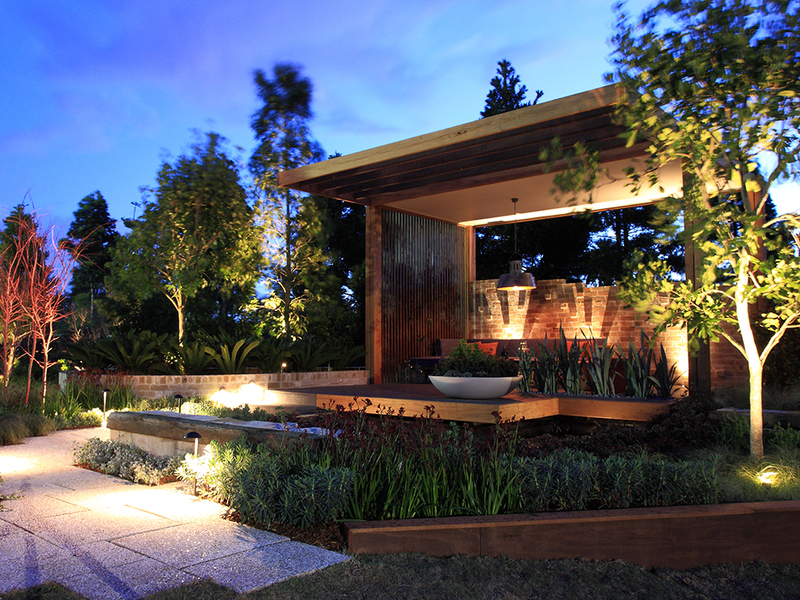 LED Garden lighting was selected to maximise use at night whilst accentuating the design. 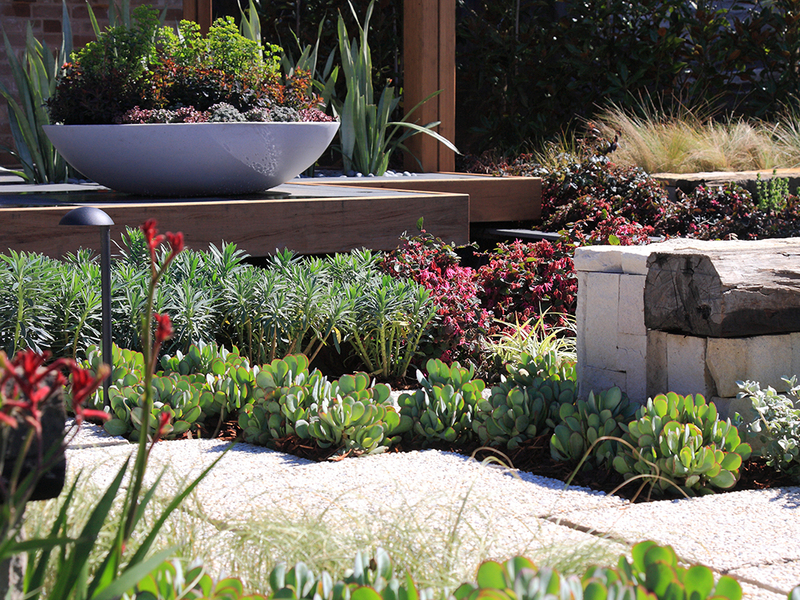 The low maintenance planting provides seasonal interest through selection of plants for their foliage shape, foliage colour, flower colour and mature form. 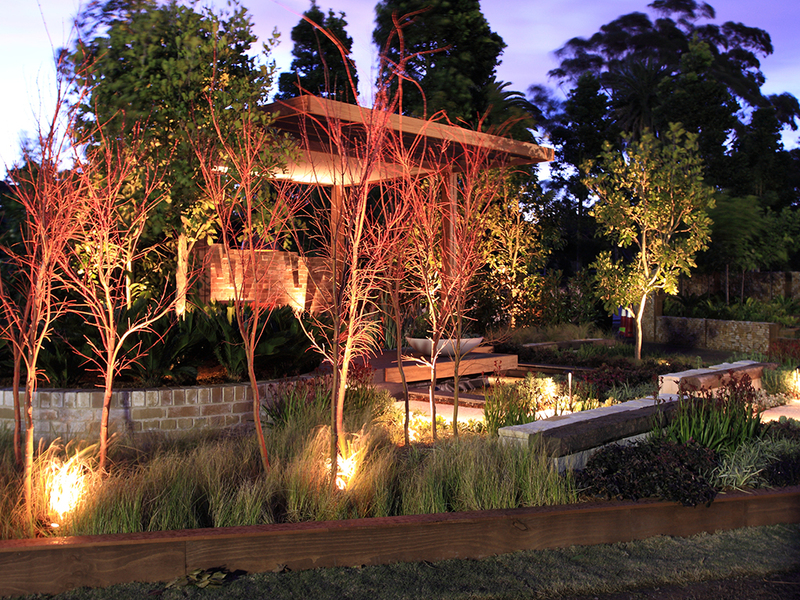 Mature trees were installed by crane to provide an instant canopy of lush foliage.